Our hearts pitter patter for adorable Valentine’s Day treats. Does yours? 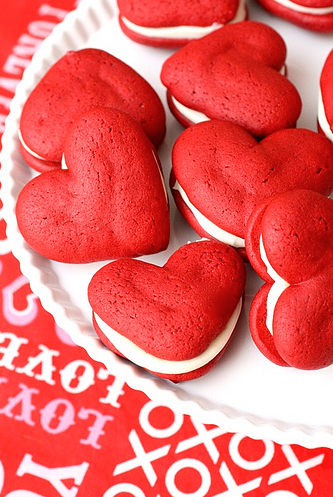 See if it skips a beat or two when you check out these heart-shaped recipes sweets and savories below! Red velvet cake is something that makes most peoples’ mouths water. Sandwiched with cream and cut to look super festive, these these heart-shaped recipes are even more incredible! This February, make everyone around you feel loved and adored by whipping up a batch of these scrumptious treats. You can wrap them up individually in cellophane, set them out on a platter, have your kids bring them into their teachers and classmates, or surprise your coworkers with a lovable gesture. This is one great way to use up leftover candy canes and make a beautiful Valentine’s Day treat! They’re pretty easy to make and if you have the mini candy canes, you’re already a third of the way there. Instead of giving out paper Valentines, why not wrap some of these delectable pops up and hand them out to the ones you adore and admire most. It won’t be too much of secret as to who’s admiring you after you do! 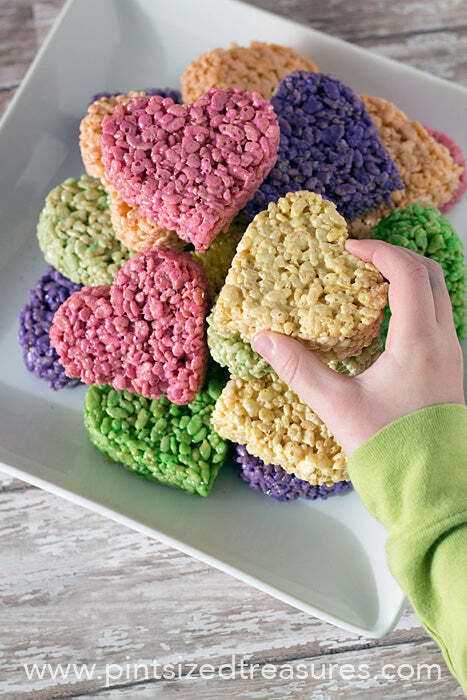 Rice Krispy Treats are undoubtedly one of the tastiest and easiest heart-shaped recipes you can make—if you don’t mind getting mighty sticky, that is. These crunchy treats are just as simple to make and only require some food coloring and a heart-shaped cookie cutter once they’re cooled in a pan. You can keep it simple and dye the whole batch red, pink, purple, or blue, or split it into a few bowls so you can make a bunch of colorful hearts. These travel and store well, so just wrap them up tight and then wrap your loved ones up tight with a hug on Valentine’s Day after you give them one of these treats. 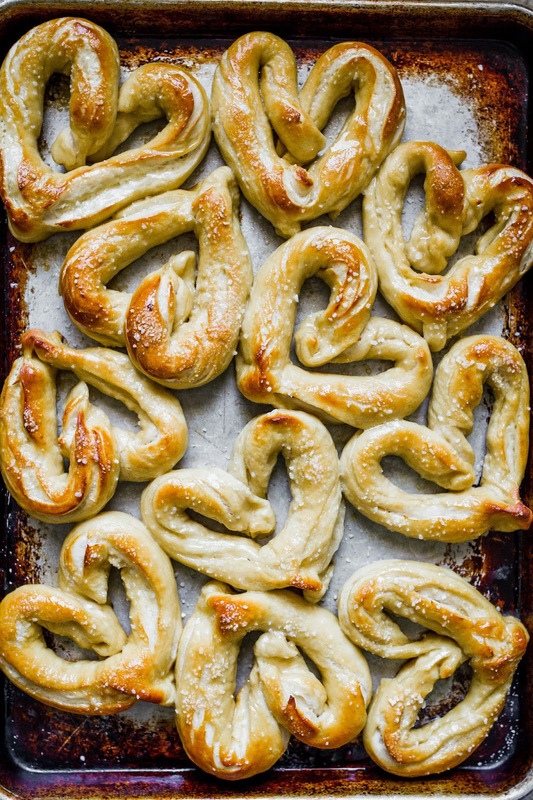 We’re keeping with the salty a second to bring you these heart-stopping appetizers. Having a romantic dinner in? 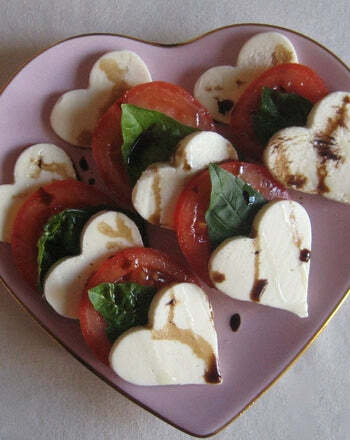 Start the mood off right by debuting these caprese hearts on a platter before the main course. With the red slices of tomato, they’re even more Valentine’s-worthy. You could amp it up one more notch by using arrow toothpicks to hold these stacks together too! The way to some peoples’ hearts is most certainly bacon. Do you feel a little weak in the knees looking at this tutorial? Imagine how your sweetheart will feel when you bring these bacon hearts up on a platter for a thoughtful breakfast in bed. He or she will absolutely love it—and you too for thinking of something so sweet and delicious! Check out the video to learn how to make these heart-shaped bacon strips. Bacon on its own is very tasty, but to go with the bacon we found heart-shaped eggs! You don’t have to buy special heart-shaped forms for a pan. If you have a cookie cutter at home, that’ll work just as well. 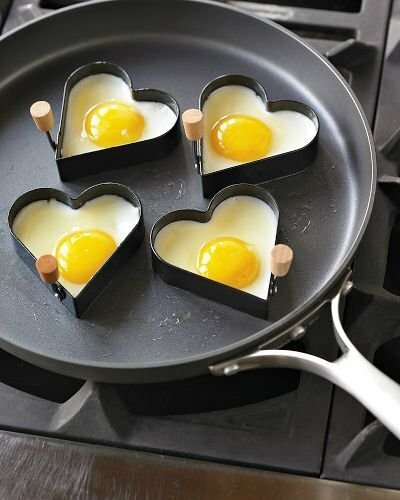 Just make sure to give it a spray with cooking oil so the eggs won’t stick to it and you won’t end up with a double broken heart—one for messing up the design and two for ruining a perfectly good breakfast! Serve this with toast too or take a spin on “egg in the hole” toast by punching a heart-shaped hole out in the middle of a piece of bread and cooking the egg inside. Is this your soul cake? It definitely struck our fancy because of its inventive design and pretty look. Get a square pan, a round pan, and a knife and you’ll be one step closer to making this amazing heart cake. You can use your favorite boxed or homemade recipe and decorate it with the frosting and topping of your choice. Try a chocolate drizzle for a romantic and fancy look. Stick with sprinkles to add some whimsy. Even try for an ombre effect by going from white to pink to dark red. Go where your heart takes you on this one. Candy conversation hearts are one of the most iconic Valentine’s sweets out there. They’ve been around for years and now you can make a cake version with this recipe. 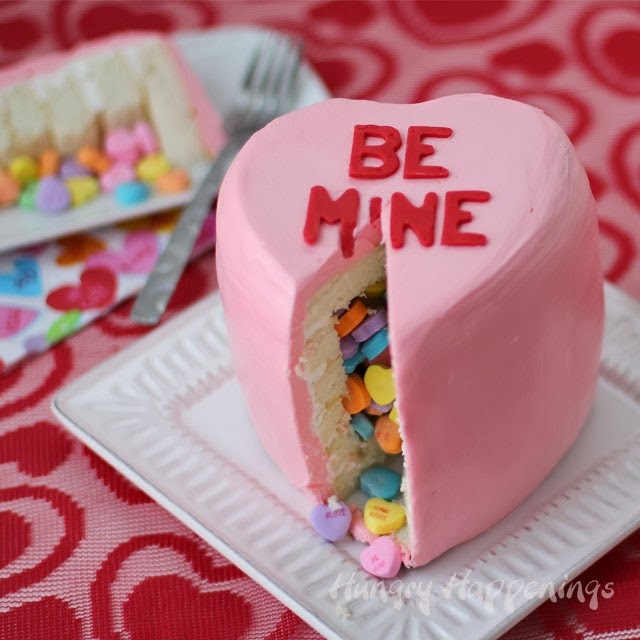 Stick with the “be mine” or change it to “hubba hubba” or even “soul mate.” The message and decorating is up to you and you’ll be saying plenty once your sweetie cuts into this cake and spills all of the candies out onto the plate. We covered breakfast, dinner, and dessert, but we can’t leave out lunch! 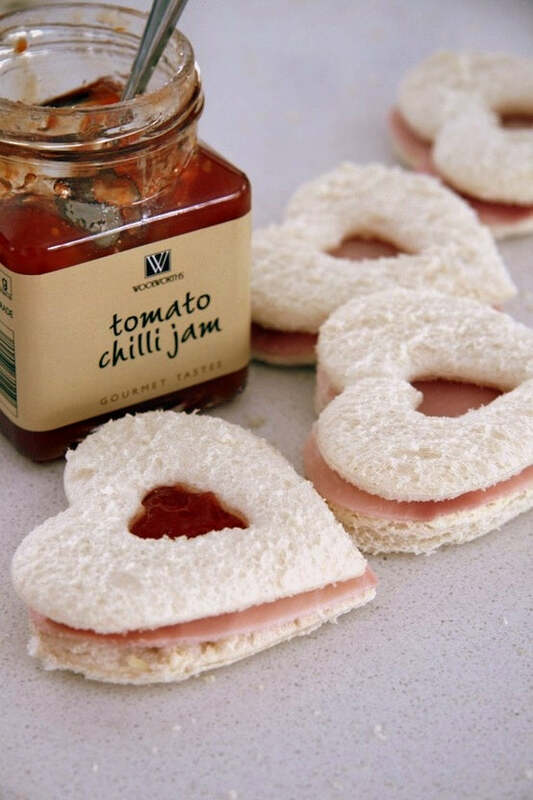 These heart-shaped sandwiches are super cute and very delicious. All you’ll need is sandwich fixings, one large and small heart cookie cutter, and an appetite for this Valentine’s snack. This person paired a savory jelly with lunch meat and cheese, but you could stick to PB&J or even cream cheese and cucumber. Go with what your Valentine loves and we’re sure it’ll be a hit. Let’s get to the main course, shall we? 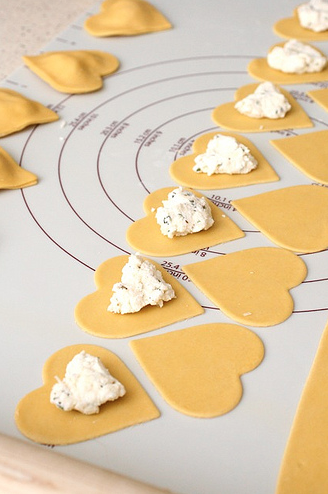 Ravioli is already amazingly yummy and when it’s shaped like a heart, it looks divine too. Imagine these handmade heart raviolis covered in red sauce on February 14th. With a bottle of nice red wine or sparkling juice, you’ll surprise and impress the one you love. Homemade gifts are always some of the most thoughtful and memorable, so give this recipe a try this year. Chocolate and Valentine’s Day are as iconic as peanut butter and jelly. They’re just more romantic! 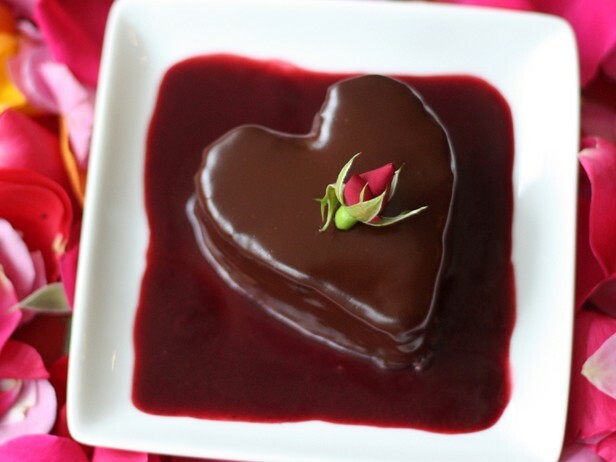 After making some of the heart-shaped recipes you’ve seen here, seal the deal on the night by bringing out this delectable dessert. You can take turns feeding each other and gazing into each other’s eyes, or like us, stuffing your face with every last morsel of this amazing dessert and then collapsing onto a couch together to watch a rom com! 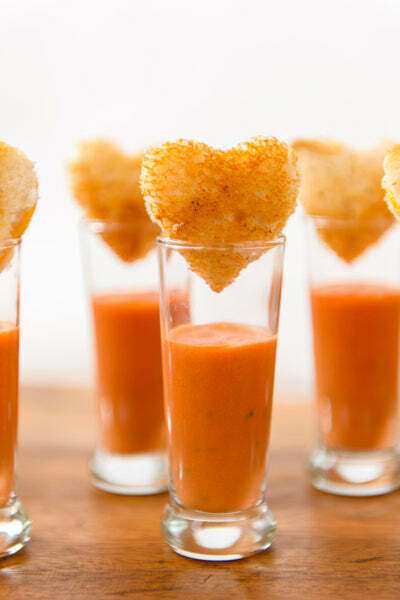 These grilled cheese and tomato soup shooters are irresistible to us and we’re sure they will be to you too. Originally designed for a wedding, these are the perfect choice as an appetizer for dinner or even a coursed lunch on Valentine’s Day. Make grilled cheese sandwiches like you normally would and then use a small heart-shaped cookie cutter to transform them into lovable little bites. Fill a shot glass with hot tomato soup and enjoy! You could even skewer some of these and place them across the top of a whole bowl of tomato soup if you want to make it more of a meal and less of an app.